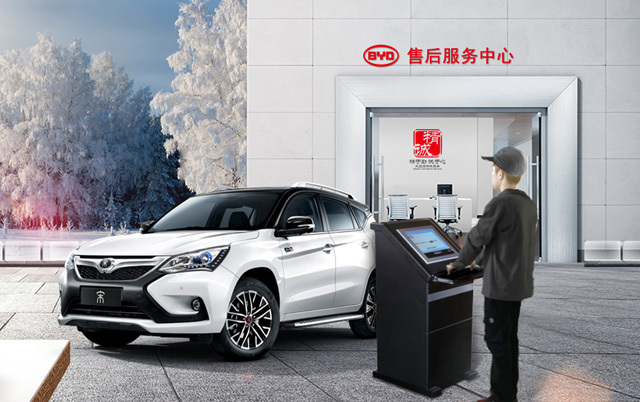 Good news comes out after domestic sales team that EAE achieved a cooperation with BYD recently, became the only lift supplier of BYD new energy vehicles service center in China. BYD Company Ltd is the world’s largest electric vehicle manufacturer in both consumer electric and commercial/industrial vehicles. BYD use global EV manufacturing demand to drive substantial component-spend leverage and manufacturing scale, a global leader and innovator in battery technology, provides large-scale energy storage systems, distributed energy storage systems and micro-grid systems to customers around the world. EAE,as the most pr ofessional automobile elevator research and development manufacturing enterprise in China,EAE car lifting machine has been certificated and recommended to use by many domestic car bands; it has been approved by auto group and service chain enterprise; adding the domestic sales team's active preparations, EAE will provide a full range of customized vehicle lifts for BYD new energy vehicles service center in the future.